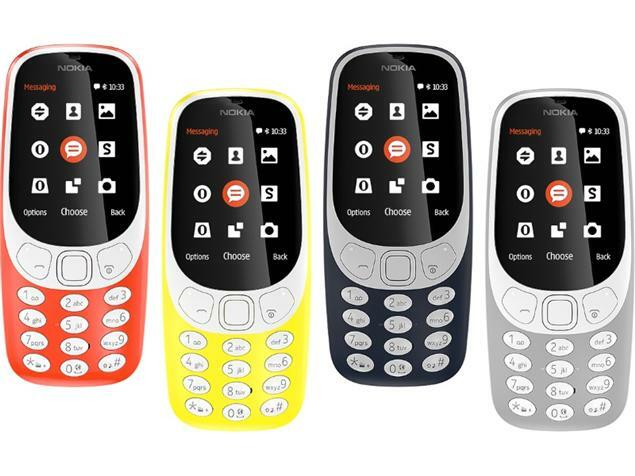 Nokia 3310, the most durable model in the history of mobile phones has been officially launched in India. It will be available in stores from May 18 (Thursday) onwards. The phone will be gettable in four colors-Grey, Dark Blue, glossy warm red and yellow. The company has gone for a price of Rs 3310 for this masterpiece. Most importantly, the all time favourite Snake game will also come preloaded on the phone. Nokia 3310 supports 2G Internet access and Bluetooth 3.0 with Nokia’s SLAM technology. The dimensions of the phone are 115.6 x 51.0 x 12.8 mm and weigh 79.6 gram. The phone sports a 2.4-inch QVGA (240×320 pixels) color display. There is a 2-megapixel camera with LED flash on the back. It comes with 16MB storage, which is expandable up to 32 GB. It is a dual-sim phone with a removable 1200mAh battery. Looking at the craze for Nokia 3310, it was chosen as one of the first three “National Emojis” for Finland in November 2015. Interestingly, the emoji is referred as “The Unbreakable”, as the phone was known for its toughness and durability.